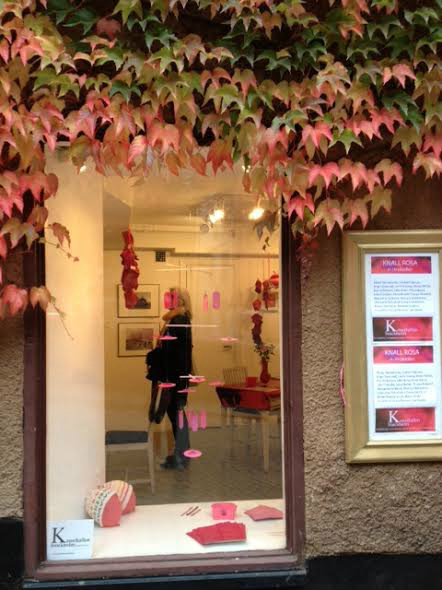 The gallery Konsthallen is located in the very center of old Stockholm "Gamla Stan". The adress is "Köpmanbrinken 2". You will find the direction in the meny of our homepage: "Karta till galleriet". We are a team of four artist running this as a non-profit gallery with selfservice. You will, by yourself, take care of possible sale and pay no commission to us. If you need help or propositons, we are happy to give advices. The gallery is 20 square metre and the rental fee is 4500 SEK per week. The exhibition period runs from Thursday 6 p.m. until Thursday 5 p.m.